Taichi Ogawa and anime as shot through a camera, peerless animation supervision, and Ribbons being the MVP. 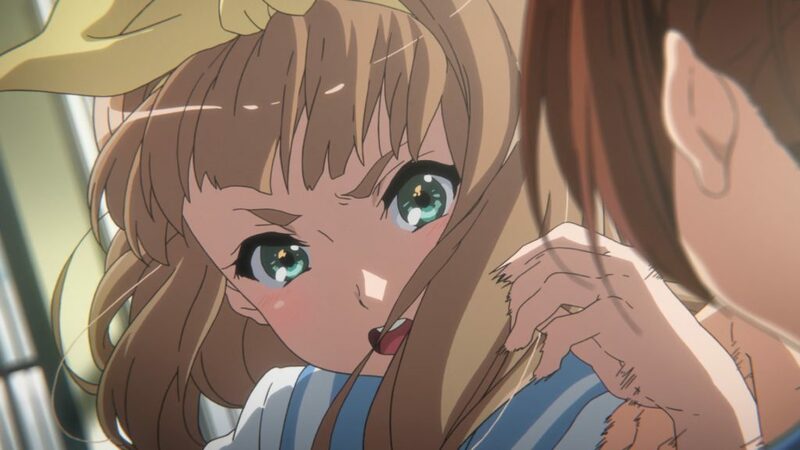 The idea that KyoAni as a whole is full of aspiring camerawomen and cameramen has some truth to it, even if it’s not quite the case. It’s a belief fueled by offerings like Hyouka’s terrifyingly authentic, absolutely awful in-show indie movie – only directors with a strong understanding of film could intentionally produce something so believably bad. If you look at the studio as a group of individuals rather than a vague idea though, you realize that while they have a bunch of people with that mentality, not all of them do. Amongst the directors who do enjoy that approach, Taichi Ogawa stands out. We already briefly introduced him and his quirks when talking about the Euphonium OVA, his only major contribution to the franchise until this episode. Let’s see how he fared this time. 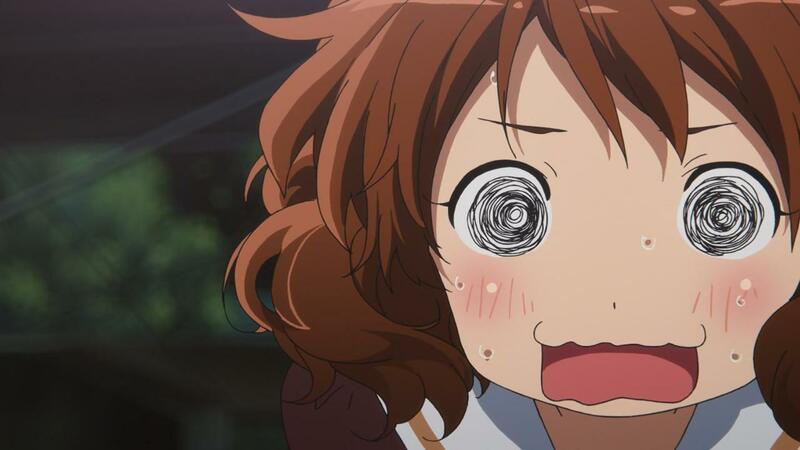 Kumiko is currently tiptoeing around the awkward situation with her seniors, aware that it’s a ticking time bomb but also unsure of what to do. Her position in this arc has been rather refreshing, not only within the show but also as a general stance; narratives that don’t bend themselves so that the protagonist is the key to solve every conflict are welcome, especially if we’re talking about an ensemble series like this. 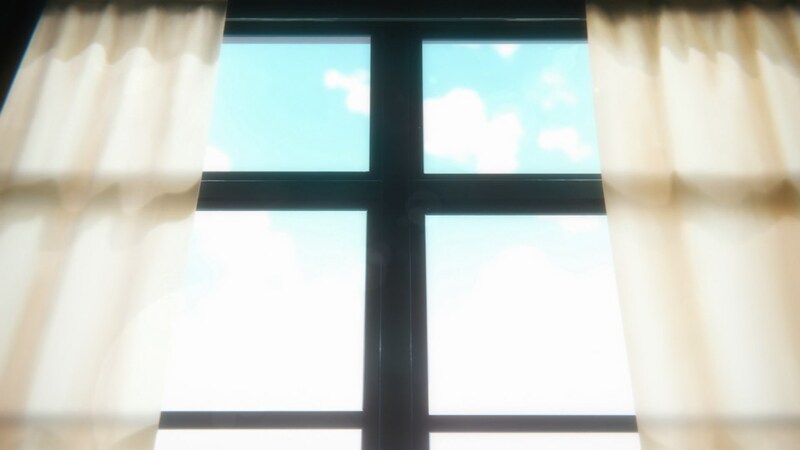 Kumiko is directly involved through her relationship with both Asuka and Natsuki, but when it comes to the resolution she’s only lending the viewers a couple of eyes. 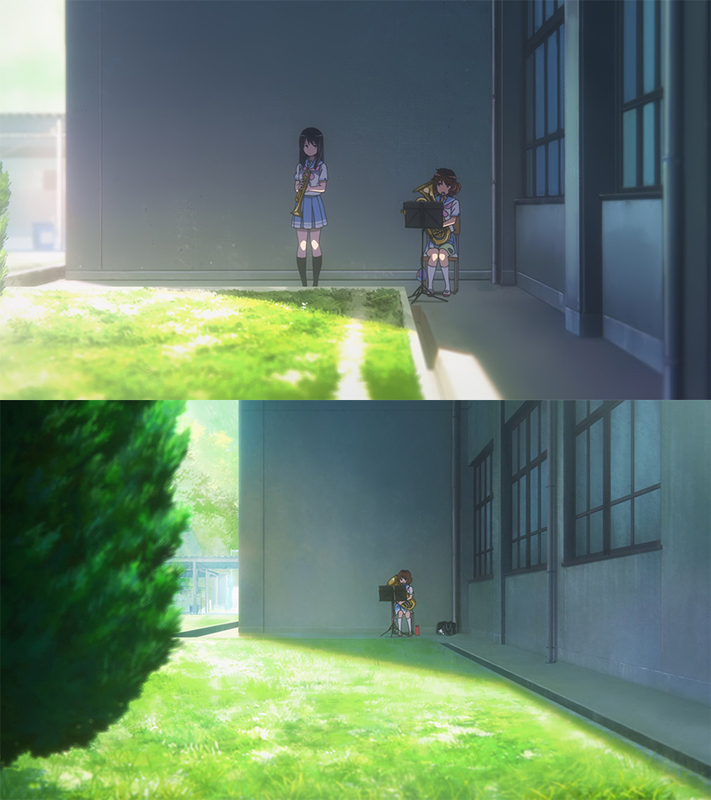 And she still does get her small cathartic moments, like the scene that sends us back to a very familiar place; having overcome that particular hurdle as a musician, Kumiko is visibly more relaxed than she was in episode 12 of the first series, and even her performance is notoriously smoother. 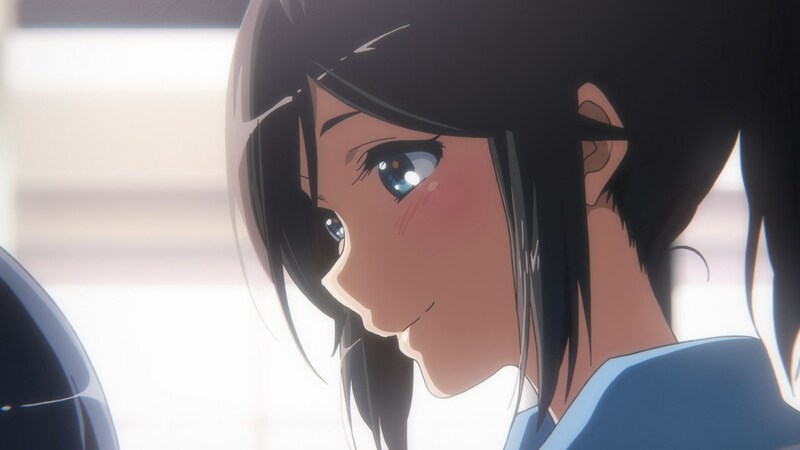 Even when the focus is temporarily elsewhere, Euphonium still follows her growth. 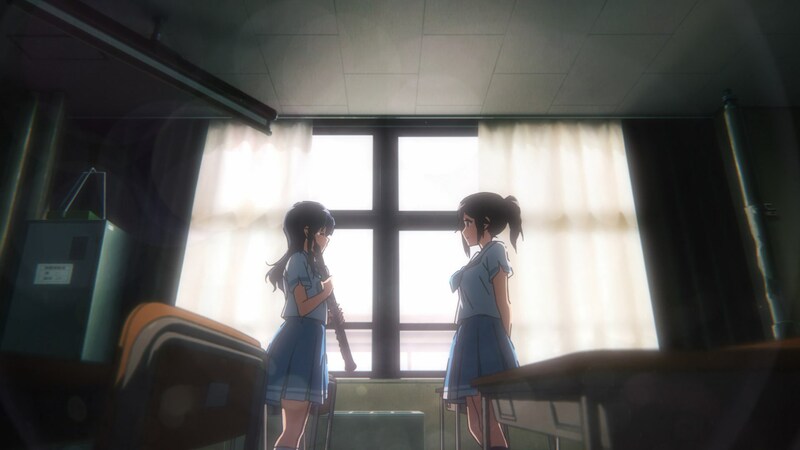 It’s at this point when Ogawa starts to let loose, as Kumiko realizes everything is about to blow up and chases after Nozomi; the contrast between the former’s frantic camera and the latter’s – plus Mizore’s – unsuspectingly calm cuts make the scene. The crisis is very briefly averted, but Ogawa immediately sets up the scenario for the downfall; his well-known fast-cutting is used to establish the position of the members of the club, as many of them are around to witness what is about to become an open problem for the band. The most chaotic cuts ensue after the two meet – Ogawa’s talent is guiding the eye, but in this case pure confusion is the feeling that must be conveyed, since no one person involved actually understands the whole ordeal. The chase after Mizore is similarly inspired, though in a different way. Canted angles, visibly exhausted pursuers, and a recurring shot hinting at where the goal is hiding. 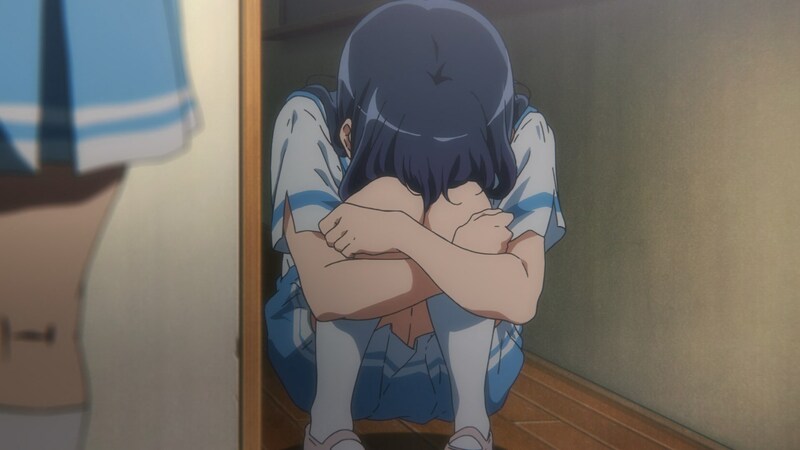 Despite all these tense moments having been put together so carefully, my personal highlight would be the scene where Kumiko finds Mizore. Ogawa carefully constructed the threedimensional space, once again showing that the biggest influence Taichi Ishidate – one of his mentors – had on him are the intricate layouts. 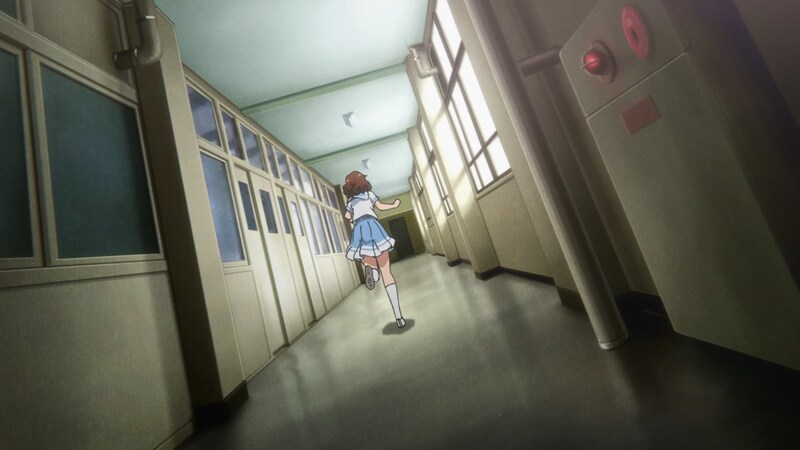 The photography work is at its most delicate here too, and you can even tell Kumiko ever so slightly blocks the lighting source when making the turn. All elements work together here to create a magic moment of production excellence. The delivery is always adorned by neat little tricks like a racking focus introduction and a match cut to the past, which make Ogawa’s approach to direction crystal clear. 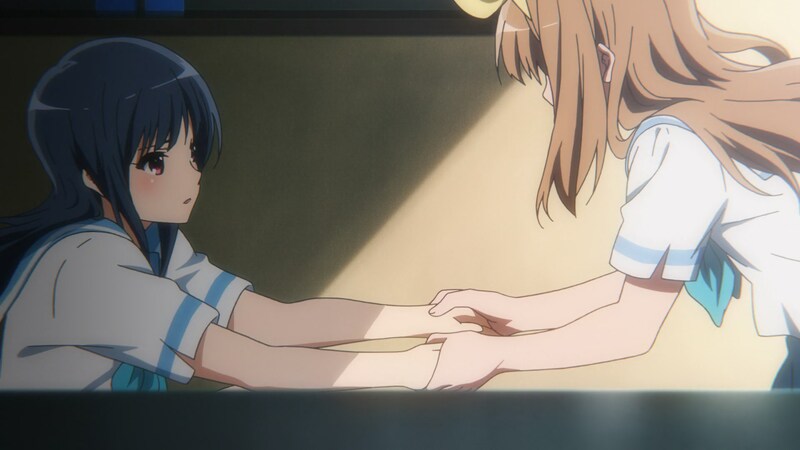 The overt climactic parts are beautiful as well, as Yuuko forces Mizore to face reality and stop retreating into herself, and she finally opens up to her dear friend she was afraid she might not mean much to. I feel like Ogawa’s work as episode director stands out more than his storyboarding prowess, despite his notorious fast cuts and grasp of time editing. 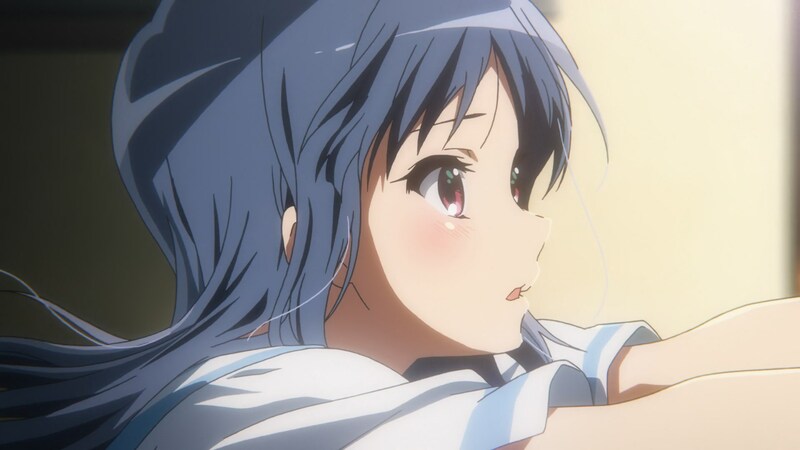 And that means that isolated striking shots in his episodes tend to feel incidental, more like a consequence than his aim; there are still some exceptions though, and Yuuko quite literally pulling Mizore into the light was a gorgeous instant. Having reinforced the band as a community and the personal bonds that maintain it, we head into next week’s performance. There’s clearly something up with Asuka’s attitude, but that will have to wait. The animation direction duo this week was impressive to say the least. Chiyoko Ueno has been at the studio for around 15 years and has about a decade’s worth of supervision experience at this point. She brings stability and balance, but is also very motion-focused when needed – her elastic animation on shows like Nichijou is tons of fun, as are her cartoony drawings that she managed to sneak in even in the first season of Euphonium. We didn’t get to experience that angle this time around, since it would have clashed with the tone, meaning she put all her efforts on polishing every single scene. She also belongs to the faction of animation directors with an eye for detail, so pairing her with Nobuaki Maruki – who as we established a couple weeks ago is the king of that approach – feels almost unfair. Half the drawings in this episode have no business being attached to a TV anime, the quality of the character art is simply obscene. Admittedly their job was made easier by a rather strong key animator lineup, meaning they were likely working on already high quality cuts. Seiichi Akitake is an excellent animation director himself so he might have needed no corrections whatsoever, and while Kunihiro Hane is mostly known as one of the best action animators at the studio, he seems versatile enough to do a good job no matter what. Even people like Hiroshi Karata and Taira Yamaguchi stand out to a lesser degree, it’s hard to tell that this is the list of animators tasked the episode before the actual production-taxing climax. We’ll see what Kigami and his team manage to pull out there! And once again I would like to thank Ogawa, even on the animation and character art front. Euphonium’s generally masterful control of lighting has led to a handful of episodes altering the outlines of characters bathed under the sunlight, making the lines shine white or almost entirely getting rid of them. Despite being a recurring trick though, Ogawa’s usage this time around was particularly beautiful. The marriage of excellent drawings with inspired photography work is often what pushes this series well into theatric production level. Kigami’s arrival, Takahashi’s 2D instruments, and even an animation direction debut. Next week is looking like a heavy post already! I think we’re going to run out of ways to describe how awesome Taiichi Ogawa is at his job soon, if he keeps up at this rate. I’m already starting to run out of ways to describe how great he is. And to say nothing about Ueno and Maruki, the godly duo of animation directors for this one. Considering who is available at the moment they’re easily the strongest team in the show, I would only put Akitake up there with them (and his style is quite different). Maruki was one of the key animators on the episode as well. I’m surprised you didn’t reply to my comment about Ogawa and how we’re going to run out of ways to describe his talent if he keeps it up. Haha, you can take that as an agreement! Seriously though, Taiichi Ogawa has just kept on getting better and better still from that first episode he did (Hyouka 12). I’m surprised he hasn’t been elevated to series director yet. It seems like such a given that he’ll be the next series director, he’s even already been series enshutsu with Ishidate (a role he might take again for Evergarden?). His solo debut is just a matter of time. So you’re saying it’s just a matter of when, not if? Yeah, I feel like the only thing we’re waiting for is a project he’s personally very invested in. The studio has enough series directors that there’s no need to force anyone into shows they’re not passionate about, so whatever strikes his fancy might be his debut. I hope it happens soon. I’m starting to get tired of waiting for them to let Ogawa really prove himself.